Among a handful of people which came to be intimately coupled with the development of the Spitfire is Jeffrey Quill, a RAF officer who took a job as Vickers test pilot just at the right time to become the second man to fly the Spitfire prototype after Joseph “Mutt” Summers. After succeeding Summers as a chief test pilot at Supermarine, Quill test-flew every mark of the Spitfire and the Spiteful until the very end of the Spitfire lineage. His contribution to the lasting excellence of the aircraft was significant. Quill’s devotion to the aircraft, rooted in his profound first-hand knowledge of its qualities, lasted long after the war. He wrote several books about the Spitfire and was a President of the Spitfire Society. Jeffrey Kindersley Quill, QBE AFC FRAeS was born on the 1 February 1913 and–Born 1/2/1913 in Littlehampton, Sussex, as the youngest of five children. He was educated at Lancing College, which overlooks Shoreham Airport. The aerial activity overhead quickened the already air-minded Quill’s resolve to take a non-commissioned career in the Royal Air Force long before he left school in 1931. While still a pupil at Lancing, Quill had attended the famous annual RAF displays at Hendon, and two years later he participated in the event, taking part in a mock bombing attack on 24 June 1933. At the age of 18, Quill was accepted into the Royal Air Force as an Acting Pilot Officer. He learned to fly on Avro Tutor biplanes and went solo after the remarkably short time of 5 hours 20 minutes (9 hours being regarded as the norm) flying time. He graduated on to Siskin IIIA advanced trainers, and his flying ability was assessed as exceptional. In September 1932 he joined No. 17 Squadron RAF at Upavon, where he began flying Bristol Bulldog fighters. He flew as often as possible in order to familiarise himself with the aeroplane, practising aerobatics and flying in cloud. At the end of 1933 Quill was posted to the RAF Meteorological Flight at Duxford. There, flying open-cockpit Siskins, the unit made twice-daily scheduled flights (except on Sundays) up to 25,000 ft to collect data for weather reports. After taking command of the flight in November 1934, he and his team managed to fly every slot for a whole year, without missing a flight regardless of weather – an unprecedented feat at the time. For this achievement Quill was awarded the Air Force Cross at the age of 22. On one occasion, when letting down through cloud, his Siskin hit the ground very hard but in perfect landing attitude, bounced over a hedge and overturned, pushing Quill’s head forward on to the cockpit coaming (its raised border). Had he not already received a broken nose from a boxing accident he would have qualified for the “Siskin nose” – a characteristic of many pilots of the period. 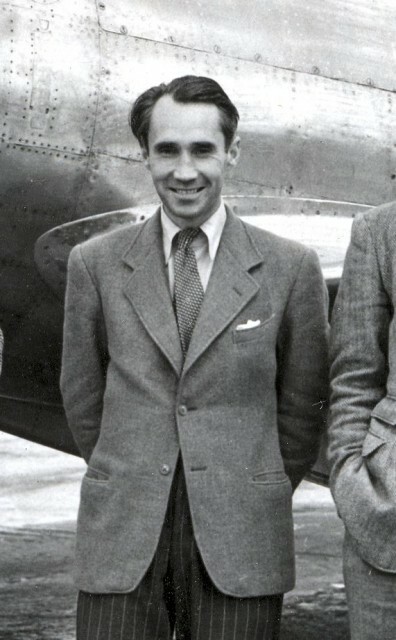 In recognition for exis exceptional skills as a pilot, in January 1936 Quill was invited to join Vickers (Aviation) Ltd at Brooklands as assistant to its chief test pilot, Joseph “Mutt” Summers. His initial task was the testing of the Wellesley bomber. It was while flying a production Wellesley that Quill had a narrow escape. The 74 ft 7 in-wingspan bomber refused to recover from a spin and at 3,000 ft Quill decided to bail out. As he descended, the spiralling bomber seemed intent on slicing the pilot with its wings; but he landed safely not far from the Kingston bypass. There was some rivalry between Vickers (Aviation) Ltd and Hawker Aircraft, whose Hurricane had first flown four months earlier. Jeffrey Quill’s long association with the Spitfire began when, aged 23, he made his first flight in the prototype K5054 on 26 March 1936 – Mutt Summers having made the maiden flight three weeks earlier. Considering his RAF fighter experience, Quill was assigned the task of getting the Spitfire cleared for acceptance by the service. 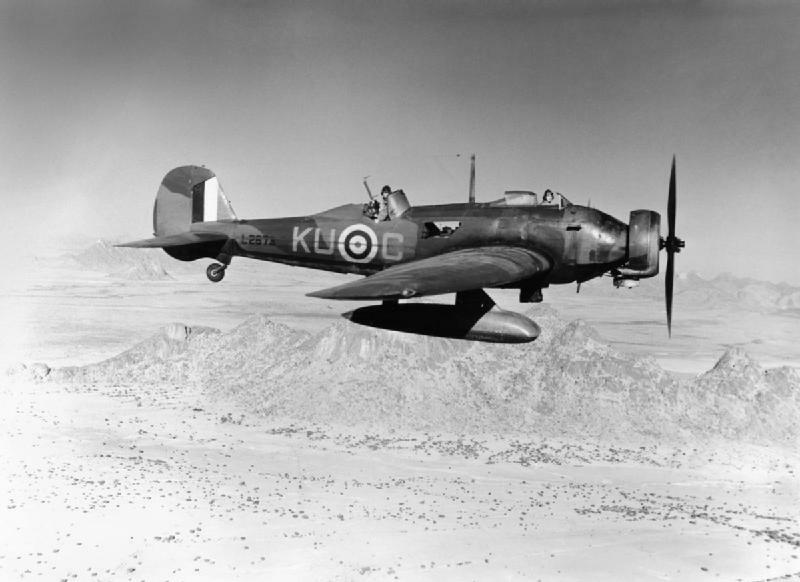 Indeed, The prototype fighter needed a great deal of work before it was deemed safe for young RAF pilots to fly, and it did not enter squadron service until July 1938. Developed through many marks and variants, it would remain a first-line fighter throughout the war. During the Second World War, Quill was in charge of development and production flying, a job that he took very seriously – so seriously that he felt he must obtain first-hand combat experience. He was temporarily released on 5 August 1940 to join No. 65 Squadron at RAF Hornchurch, privately hoping that it would be a permanent appointment. On 16 August he shot down a Messerschmitt Bf 109 and two days later he shared a victory over a Heinkel He 111. His combat days were short-lived because he was recalled after 19 days, but they made Quill all the more determined to make the Spitfire an even better fighting machine. In 1942 the Luftwaffe’s Focke-Wulf Fw 190 was gaining the edge over Allied fighters, and it was an urgent priority to capture an example. For a while Quill was on standby to be taken to France in order to hijack a Fw190 back to England. Fortunately an example was delivered to the RAF on a plate in the meantime, when a disorientated German pilot, Oberleutnant Arnim Faber, mistook the Bristol Channel for the English Channel and landed a Fw 190 A-3 at RAF Pembrey in south Wales. In the immediate post-war era, Quill continued as a test pilot, flying the latest Supermarine jets including the Attacker and Swift; he later became a military aircraft marketing executive for the British Aircraft Corporation. He also became a prolific author, chronicling the Spitfire and its legacy through: Flying The World’s Great Aircraft (1982), Spitfire: A Test Pilot’s Story (1983), Spitfire (1986) and Birth of a Legend: Spitfire (1987). Jeffrey Quill died 20 February 1996 and is buried in St Andrews church yard, Andreas, Isle of Man. The church is near to the former RAF Andreas, which operated Spitfires from 1941 – 1942. After his death, the British aviation society commemorated his contributions by naming a new award after him, and since 1997 they have awarded the Jeffrey Quill Medal annually for an outstanding contribution to the development of air-mindedness in Britain’s youth. Quill led the flight testing of all marks of the Spitfire, down to the very last of the lineage – the Spiteful and the Seafang. 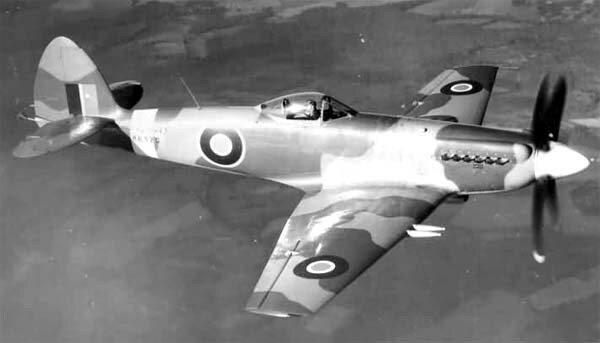 He later admitted that he found these “improved” aircraft inferior in characteristics to the Spitfire itself. I was present at Mehrabad Airport (Teheran) when Jeffrey Quill flew the Supermarine Attacker in as part of a world sales tour. I am certain that this was the first jet aircraft to land in Teheran. It caused a great stir and I have photographs of the aircraft with crew standing beside. I was six at the time.